Do you need insights on how to run and scale your business tackling climate change? Do you want to get to know some of EIT Climate-KIC’s most promising start-ups and learn from them how they did it? Would you like to network with key entrepreneurs, coaches and investors active in this sector? Are you looking to be part of a climate start-up team in roles ranging from marketing and business development to engineer? Do you have an internship or job opportunity open and are looking for talent? Then join us for the 2nd edition of our Climate Entrepreneurship Night taking place on 13 June 2018 starting at 17:00 at the ETH Zurich Dozentenfoyer (see Google Maps) and register here. 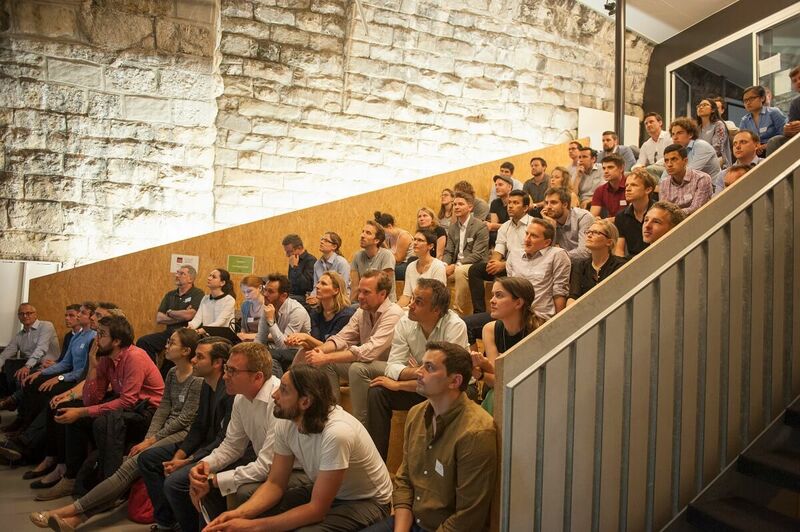 Following the success of the 2017 edition of the Entrepreneurship Night, EIT Climate-KIC is proud to invite you this year to attend another night of insight into the climate innovation community, including a keynote speech ‘From Start-up to Scale-up’ with Anil Sethi, Chair of Entrepreneurship at ETH Zurich; a panel discussion on ‘Unlocking the Climate Relevance of your Start-up’ with Patrick Bürgi from SouthPole and Anil Sethi; and inspiring pitches from EIT Climate-KIC’s Accelerator start-ups. The closing event will provide you with the opportunity to mingle with the Swiss and European-wide climate change entrepreneurial and investor communities.